The ageing population over 65 is projected to grow from 15% of the population (3.7 million people) in 2016 to 21% of Australia’s population (8.3 million people) by 2053 according to the Australian Bureau of Statistics medium level estimates (2015). Almost one in five Australians in 2015 had some form of disability in Australia, which makes up 4.3 million people. And of those aged over 65, 50% or 1.8 million people have some form of disability (ABS 2015). With the growing number of elderly, the number of people who experience visual, auditory, physical, cognitive and verbal difficulties will increase. Many of the current products, services, interactions, experiences and our built environment have been designed with the average user in mind. However, most of us deviate from the average in some respect which create mismatches with the products, services and environments that we interact with. and using that understanding to guide actions’. The word has it’s roots in the German word ‘einfuhlung’ which means ‘to feel into’. When we feel into, we are able to see the hidden difficulties that people face and develop the motivation to consider their needs and desires in the design process. How might we develop empathy for those who are excluded, and to design delightful products, services and experiences that are inclusive of a range of abilities? Designers employ a wide range of methods and tools to build empathy to understand the local context, user pain points and emergent needs. 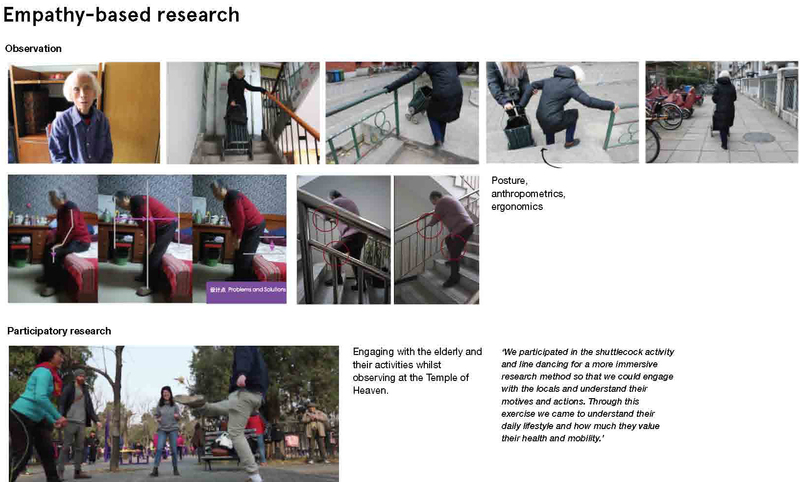 These methods range from ethnographic and human-centred methods including interview techniques, observational research and co-design to understand what users think, feel and do. 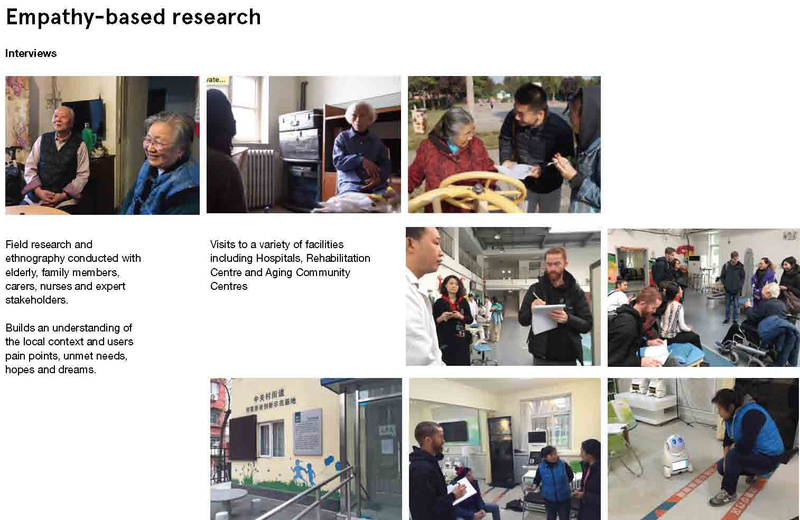 Immersion in qualitative and field research reveals stories and emotional journeys. People who have lived experience develop a deep form of empathy and understanding through their personal involvement in events. They hold first-hand knowledge and deep insights into the everyday challenges and often best understand what the problems are. Living with and shadowing are slow forms of research which give a deep and a rounded view of the daily patterns and life. Stories by those with lived experience and their family and carers can also be powerful narratives for designing with and for end users. Other methods involve stepping into the shoes of through experiencing what it might be like momentarily while doing a task. 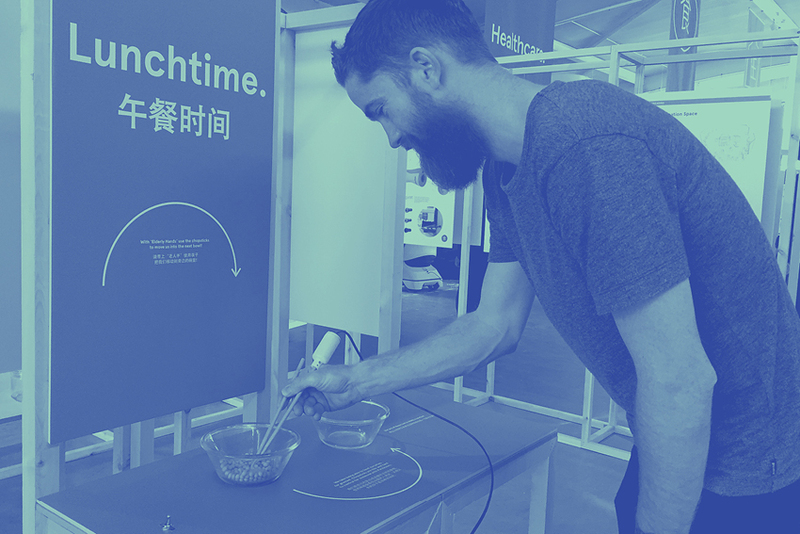 During Beijing Design Week, FutureAging Lab’s student design team developed a number of interactive empathy tools aimed to enable the demographic of visitors 20 – 30 year old to experience the hearing, mobility and sight limitations experienced by elderly. 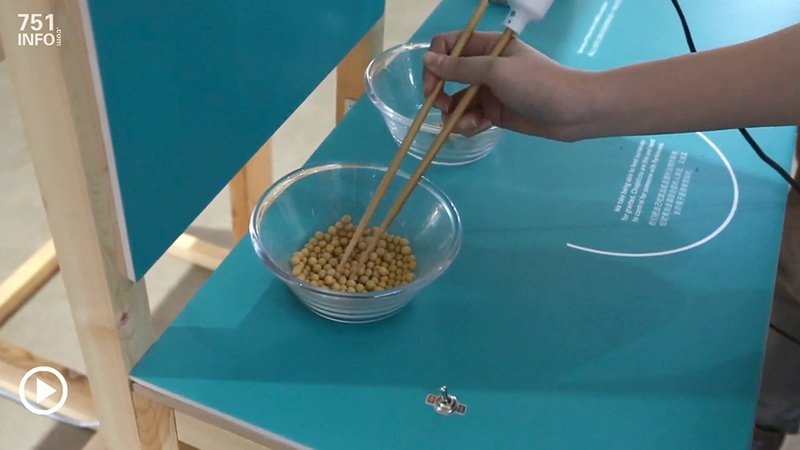 The empathy tools generated a dialogue amongst young people of growing old and experiences with family members and the impending growing aging population.